Despatches From The Front, Operations in North Africa and the Middle East 1942-1944, El Alamein, Tunisia, Algeria and Operation Torch. 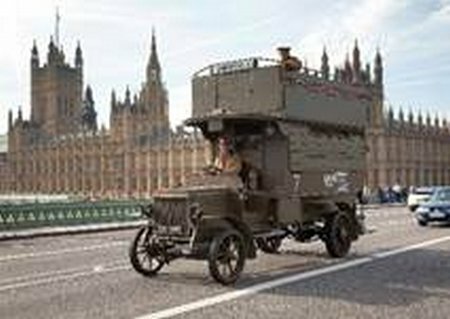 London Transport Museum is appealing for votes for its First World War Battle Bus as it strives for nationwide acclaim on BBC One in this year’s National Lottery Awards. Winning would throw a spotlight on the sacrifice made by thousands of Londoners who fought and served during the First World War. Battle Bus is competing against six other projects to be crowned the winner of the Best Heritage Project category. Winners of the seven National Lottery Awards categories will each get a £3,000 cash prize to spend on their project, an iconic National Lottery Awards trophy and attend a star-studded glittering Awards ceremony in London, broadcast on BBC One in September. Battle Bus tells the story of London’s transport workers during the First World War. 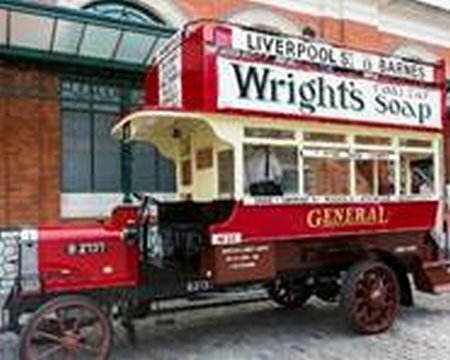 The Museum’s 1914 London bus, which has been restored in wartime livery is a symbol of how London rallied behind the war effort. Nearly a third of London’s motor bus fleet were commandeered for service. Along with the vehicles, drivers were often recruited as volunteers, and many never returned. Back in London, women were employed in transport roles for the first time. The project started with the restoration of a 1914 London bus into operational condition in 2014. It was initially given its original red London General Omnibus Company livery, and later converted into a military troop carrier in public view in the Museum. 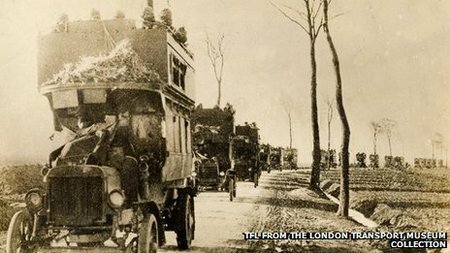 Since its restoration the bus has attended over 50 public events in London and beyond, including a tour of Flanders and the Somme. The bus is operated and maintained by a dedicated group of volunteers and curators. Alongside the restoration and operation of the bus, a key part of the project is a five-year learning programme engaging with different community groups each year and training young apprentices and volunteers. In 2016 the focus is on the Battle of the Somme and on uncovering stories of the role of young men in the war focusing on the Tottenham area. “It’s very important that we commemorate the contribution of London’s transport workers and thousands of ordinary Londoners during the First World War, and we could not have accomplished this without the support of the National Lottery and its players. Winning would highlight the immense sacrifice London made and ensure that future generations don’t forget. “The National Lottery Awards are a great way to shine a spotlight on outstanding Lottery funded projects. Now in their 13th year, the Awards celebrate the talent and dedication of the amazing staff and volunteers that run incredible life-changing Lottery funded projects for the benefit of their communities and the people who live in them. “Your local project has worked very hard to become a finalist and they now need your support because the project with the most votes in each category will be crowned the winner. To vote for Battle Bus, please go to http://tinyurl.com/voteforBattleBus or telephone 0844 836 9673 and follow the campaign on twitter: hashtag #NLAwards. Voting runs for four weeks from 9am on Wednesday 22 June until midnight on Wednesday 20 July.